When we broke camp at 6:00 it was definitely chilly…probably the low 40’s. 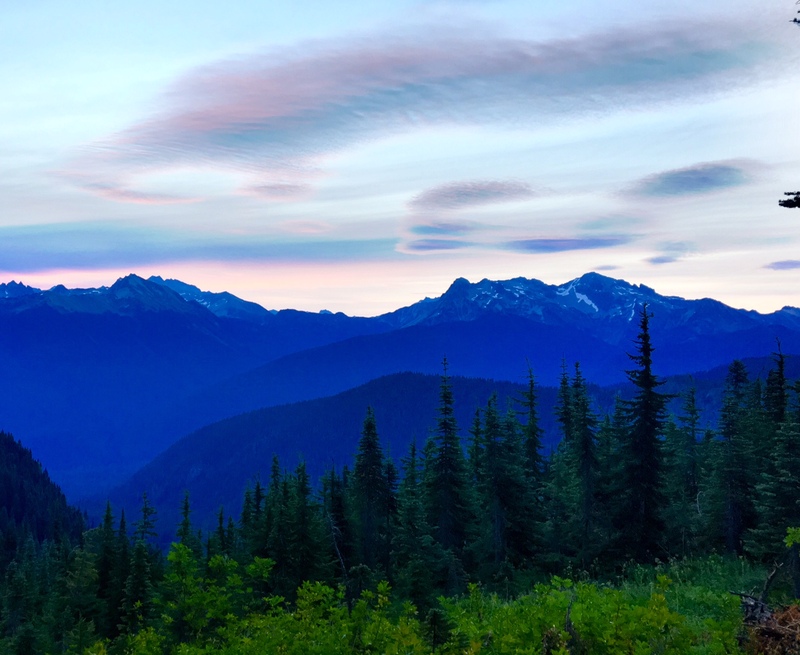 We were camped ~6000′ which is pretty high in the northern cascades. Around 7000′ you start to have glaciers on some peaks. The day was basically broken into two parts…a long descent (9mi) and then a long climb (11mi). Most of the day we were in the trees without a lot of views but there was some very impressive old growth forest we hiked through that made up for it. There was also a big milestone today…2000 MILES completed ✅. Only 660 more to go. 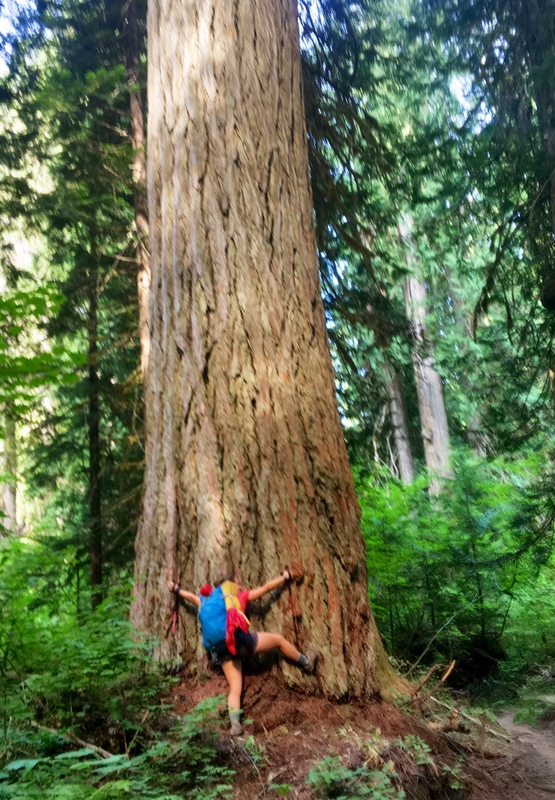 DV trying to hug a giant tree in an incredible stand of old growth forest. 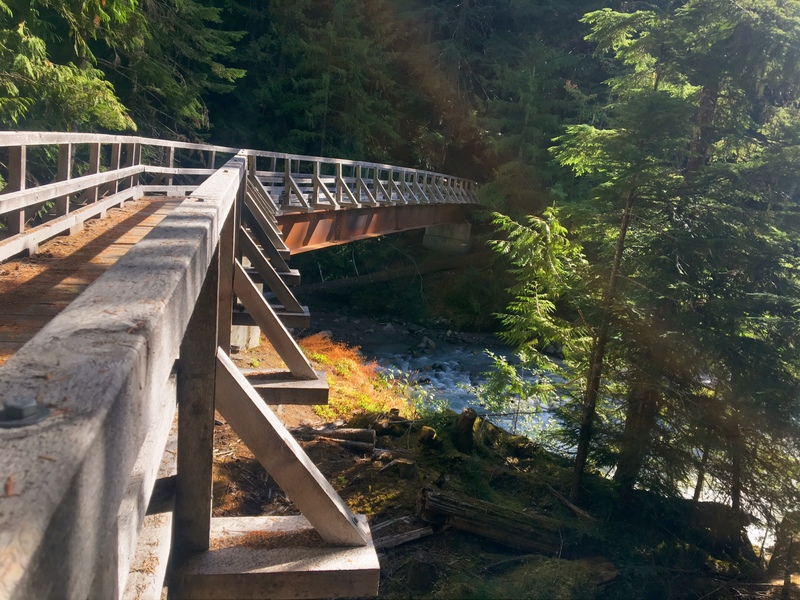 An impressive bridge over Suiattle Creek. We had a mid morning siesta on the bridge because it was so nice and sunny out in the open after being buried in the coolness of the trees all morning. 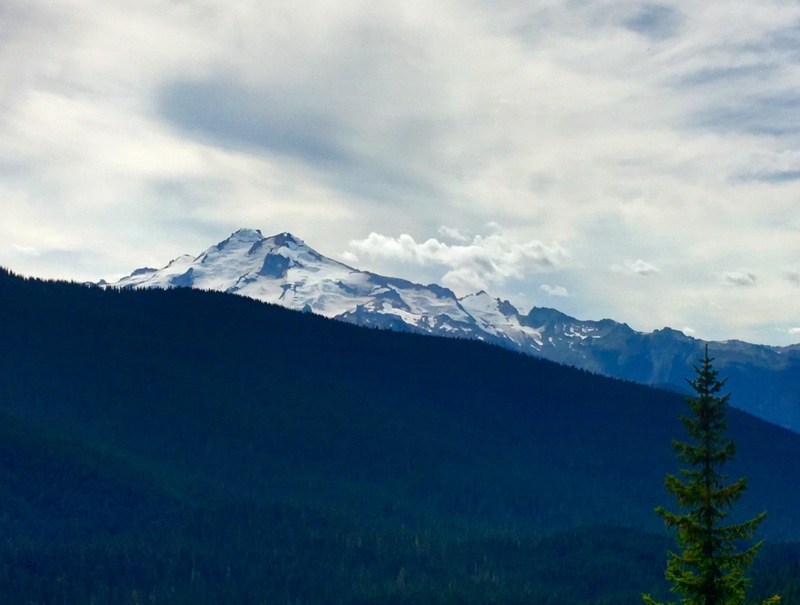 Towards the top of our afternoon climb we had our last view of Glacier Peak. 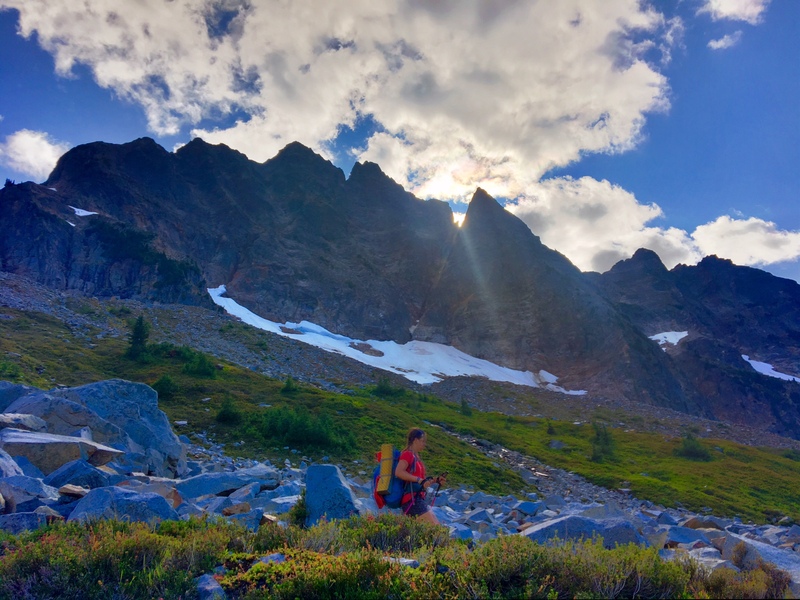 Our evening descent toward Agnes Creek. 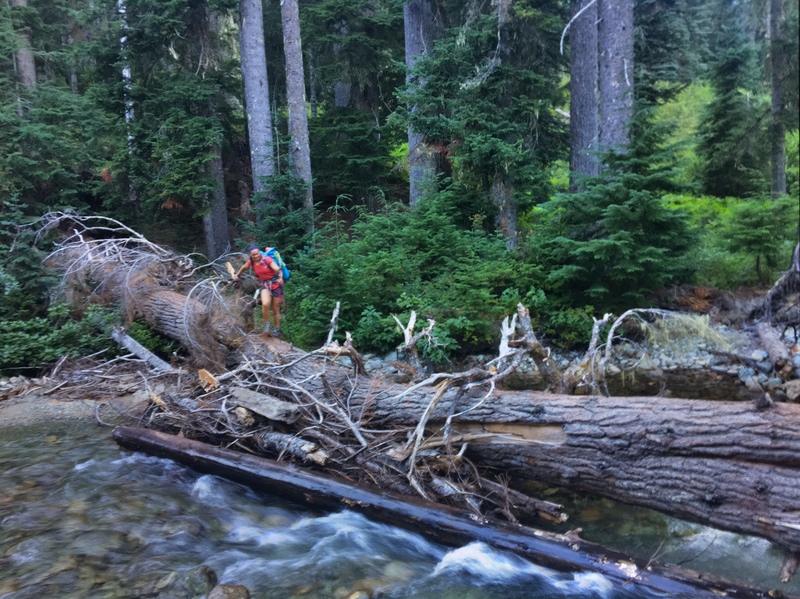 The bridge over Agnes creek had been washed out…giant trees to the rescue. Tomorrow we will descend the final 12 miles to get to the tiny settlement of Stehekin and assess for ourselves whether or not their infamous bakery is up to the challenge of hungry hikers. We have been to Stehekin but if I recall correctly we did it the easy way…………by boat across the lake. Isn’t this in apple country?